Awhile ago I was looking an editor that was cross platform, light weight, and awesome. I’d dabbled with Netbeans in the past, but found it to be a little heavy for what I needed it for. I ended up settling on Sublime Text 2. 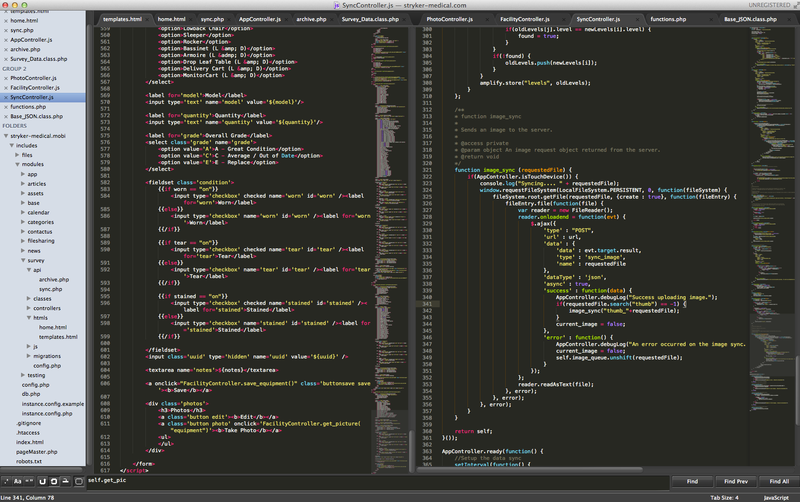 I have a hard time coming up with words for how awesome Sublime Text 2 is, so here’s a screenshot of my current window.